Here’s a puzzle for you: How do you use the same buses to represent three different branches of a company at separate times? How do you make it attention grabbing so it can compete with all of the other commotion that is occurring at the second busiest airport in the country? How do you get it done in two months? Enterprise sought us out to develop a video display in the shuttles that bus passengers from LAX International Airport to their car rental facilities. They have three different branches of their company: Enterprise, Alamo, and National, and they wanted to use the same buses and switch between logos depending on which location they were bringing passengers to. These logos needed to be visible in the daylight and completed in two months. 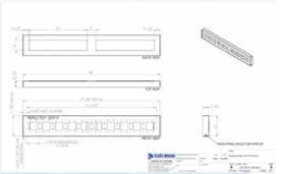 Our team engineered a simple, elegant structure to display the LED video panels. In order to be seen in the daylight, incredibly bright Hi Resolution LED video panels were installed. We programmed the displays to change between logos depending on when the bus was being used for the respective branches. We flew out to California to personally install the video panels and position the brand logos in high visibility areas on the shuttles. Being present for the installation allowed us to make sure everything operated correctly. Ultimately, the installation of video panels allowed our client to use the same buses for all three branches of their company, which resulted in saving money for them because they had to service and maintain fewer buses. Need a custom lighting solution that’s outside of the box? Visit us at http://nutis.com. Good signage should grab your attention, make a memorable first impression, and draw people into your store. But signage can do much, much more than just sell a product or service—they can educate your customers as well, and that goes a long way to converting leads into sales. AAA Ohio Auto Club is a great example of how effective signage can fulfill several business objectives in one fell swoop. AAA needed to educate customers about its membership levels and the services they offer. With new brand guidelines, our challenge was tell a story through the display of their seven business lines rather than simply listing them out to customers. We wanted to create a display that was as informative as it was eye-catching. To accomplish this, our team produced a custom brand wall package. 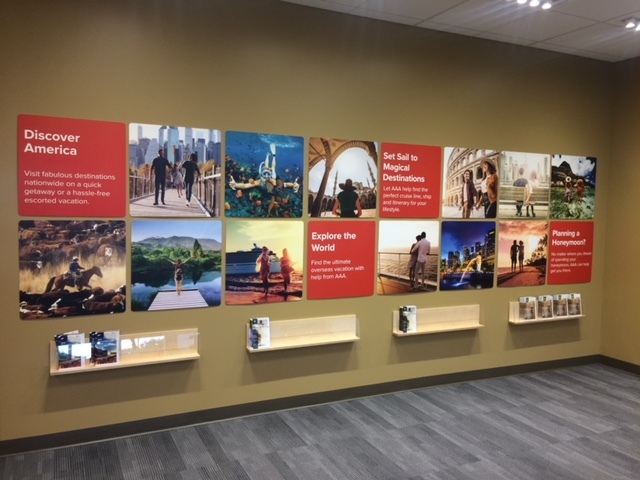 The installation clearly featured all seven of their business lines and embodied the spirit of travel and exploration through our use of non-glare clear acrylic stand-offs over a textured wall covering. To draw attention to the tagline, we created a dimensional AAA logo. The specialized design utilized a wide variety of materials for maximum impact. 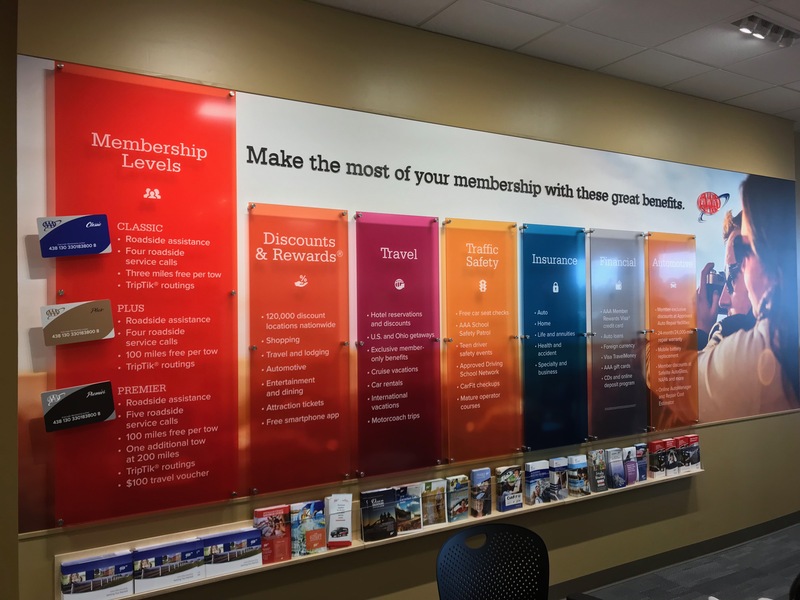 As customers walk into the space, the cohesive display draws their attention to all of AAA’s business lines and educates them about membership and services. Best of all, the impressive display was fabricated and installed in just a short time period so that AAA could immediately begin using it in their sales process. Would you like to learn more about how Nutis can transform your space with effective signage? Contact us at http://nutis.com. How to Make Your POP Pop! Is your point-of-purchase display lacking some oomph? Zip? Pep? Pizzazz? More importantly, is it not driving sales? A purchase is the whole point, and your POP display should help guide consumers toward making a purchase, even if it doesn’t happen immediately. 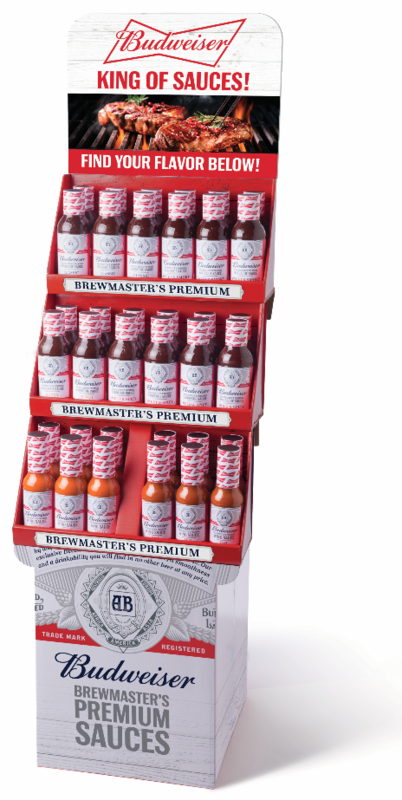 A POP display can be just as effective at introducing consumers to new products, increasing awareness of your brand, and promoting engagement on social media. When you’re thinking about how to create a POP display that accomplishes your business objectives, these three steps will get you started. Once you know who you’re talking to and what they need, you can position your product as the answer that makes their lives easier or healthier or more enjoyable or whatever benefit your product provides. Your display should make that benefit very clear. Let’s say you’re selling a healthy snack alternative. Your display needs to convey a story that helps consumers understand that this isn’t just another impulse buy to satisfy a sweet tooth. Use large photos that feature the quality ingredients. Or show the faces of the people behind the product. Or use bold copy to highlight certifications like all-natural or organic or non-GMO. Is your story true to your brand? A point-of-purchase display is an excellent way to increase awareness and strengthen your brand. If a consumer sees your display one day and sees your billboard the next but doesn’t connect the two, you’ve missed a chance to make a real impact. Be sure your POP display is consistent with all of your other marketing efforts. Are your POP displays not generating results? 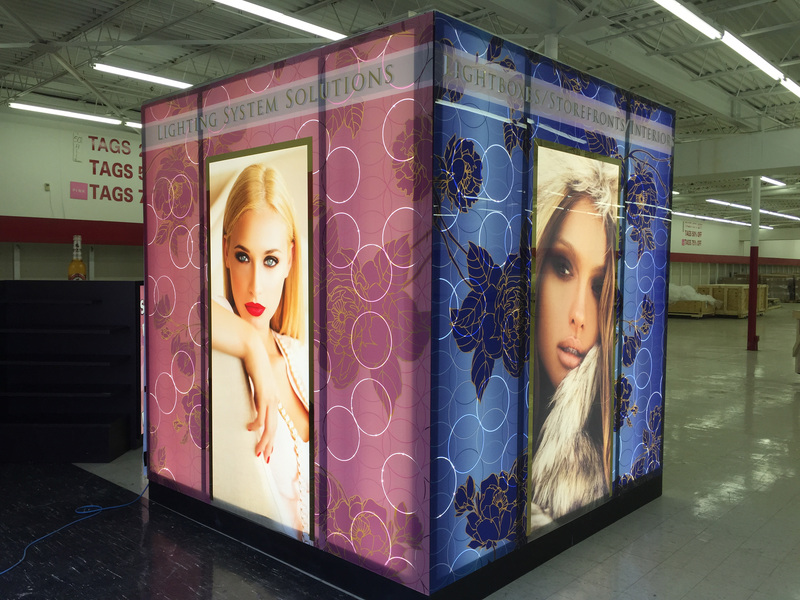 With nearly 70 years of experience, Nutis is a trusted partner in creating point-of-purchase displays that not only look great, but help drive sales too. Click here to learn more or contact us. Nothing can make or break a retail environment like lighting. Too dark, too light—bad lighting is obvious the minute you walk through the door. Here are three things to keep in mind when thinking about the lighting in your space. Yes, even lighting can be on brand. Think of how lighting contributes to a brand the next time you walk into Hollister compared to, say, Kmart. What is your brand’s aesthetic? Should the lighting be diffuse or bright? What should be accented? Make sure the lighting decisions you make strengthen your brand, not weaken it. Is your store warm and inviting? Or cool and hip? Color temperature is a giant part of how your environment feels. A warm color palette sends a completely different message than a cool palette. What message are you trying to send? As any fashionista will tell you, a keen eye for layering and accents is key. Same goes for lighting. Too many accents and you’ll distract. Not enough layering and you’ll leave your customers out in the cold. Think about how every layer and every accent is working together to create the perfect ensemble. Nutis provides innovative lighting and display technologies. Our team is highly experienced in designing creative solutions to fit any need or space. Learn more.